Fingerprinting services are available at 1200 West Gate City Blvd. every Wednesday from 5:00 PM to 8:00 PM using Live Scan. 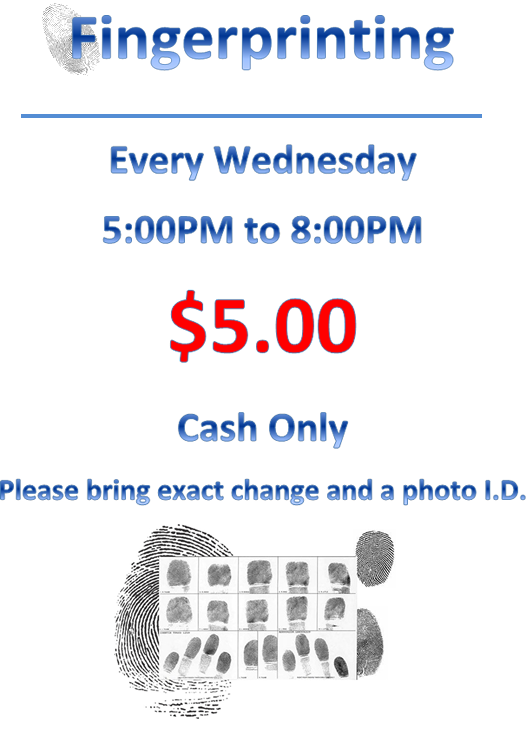 Please bring a valid photo identification with you and a second form of identification. Each fingerprint card costs $5. Payments must be exact change, and are only acceptable in cash. Appointments are not required.